Artificial intelligence (AI) is a branch of computer science that is developing machines capable of intelligent behaviour. This involves building machines that can learn from example and complete tasks that would normally require human intelligence, such as speech recognition, language translation, decision-making and visual perception. Artificial intelligence uses machine learning, including deep learning (i.e. neural networks) and evolutionary algorithms to make machines behave like humans. Artificial intelligence is the science, whilst machine learning is the enabler for AI. Companies like Google and Nvidia are at the forefront of AI development, conducting research and applying the science to work in areas such as visual processing (e.g. facial recognition), self-driving cars, product recommendations and lip reading. Deep learning involves using machine learning algorithms inspired by the structure and function of the brain. These are called artificial neural networks and have benefited from the availability of more powerful computers and big data. Traditional machine learning algorithms generally reach a plateau of performance after processing a certain amount of data. 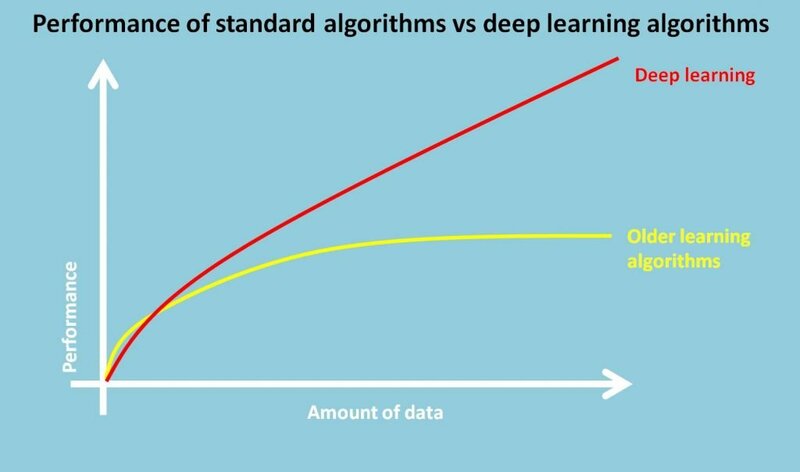 However, deep learning algorithms continue to improve their performance as more data is fed into them. This is especially powerful for areas where data is being generated after the algorithm has started to process and learn from an initial set of data. How will AI change conversion rate optimisation? Artificial intelligence is a natural fit for conversion rate optimisation because AI is about learning from experience (e.g. A/B testing), incremental change (e.g. exploiting insights) and predicting outcomes (e.g. personalisation and anticipatory design). Multi-armed bandits are already being used for the first two scenarios. However, with the development of deep learning and evolutionary algorithms it is inevitable that marketers will want to exploit the potential for much more complex and faster testing. Companies like Sentient are already offering such solutions with Ascend for rapid testing and Aware to deliver intelligent recommendations, identify customer intent and personalise the customer experience. AI is potentially a growth hacker’s dream solution; though it will still require imagination and agility to fully exploit it. But the potential for more rapid exploitation of insights, including automating incremental change and real-time personalisation will inevitably disrupt the market for A/B testing solutions as the boundary between testing and exploitation becomes blurred. AI is a fast growing field of computer science with obvious applications in digital optimisation. AI will not replace the need for optimisation experts as it still needs to be told what kind of changes customers may respond to and graphic design is a creative process. However, AI is likely to be increasingly integrated into digital optimisation software to allow for faster and more complex testing processes to speed up the exploration phase of testing and to deliver real-time personalisation of the customer experience. Related post: How is AI disrupting conversion rate optimisation?